There are two times of year when its most popular for real estate agents celebrate Pie Day. The first is in March when clever marketers capitalize on Pi Day, 3/14. More common, however, is the Great Real Estate Pie Day celebrations in November. When to Start Planning Your Pie Day Giveaway? How Many Pies will You Need? What Kind of Pies Should You Get? Of course, there are no rules. Your business, your way! But if you want to be in the mainstream, the weekend before Thanksgiving is when several agents gift their clients and associates with a free pie. This way, recipients of your pies will be able to share the treat at their Thanksgiving table. The early bird gets the worm, so the earlier you begin planning, the more successful your event will be. Another factor to figure in is how fancy you want your pie day to be. Some agents take advantage of the opportunity by throwing a pie day party, complete with cocktails. Having a party doubles as an excellent networking opportunity. Others, however, simply set themselves up for a certain number of hours on a particular day, or days, inviting recipients to pick up their pie at their convenience. But at the very least, you should begin planning no later than 30 days in advance. By mid October, you should begin assembling the details of your celebration. The concept of Pie Day is to thank your past and present clients, as well as your business associates, not so much to generate new leads. For best results, call your database for anyone who bought or sold a house with you during the past year, starting the day after last year’s Pie Day festivities -if you had a Pie Day celebration last year. Otherwise, begin with new clients established on or after January 1st. Furthermore, any new business relationships you’ve developed in the past year should also be honored. By fostering these relationships, continuing a presence in the lives of your clients and expressing good will, your clients are more likely to talk about you and your services to their friends, family, and associates. Imagine your client sitting at his or her Thanksgiving table surrounded by loved ones, telling them how pleasant it was to receive a pie from you for their gathering. Also selected for you: Will Real Estate Agents be Extinct Some Day? The last thing you want is to run short of pies. Equally unpleasant is having dozens of pies left over. Many agents choose to include RSVP forms or cards along with their invitations. You can host an RSVP form on your website, or include an RSVP card with your print invitation. The RSVP response gives you a general idea of how many clients you can expect, but you must also factor in the unexpected. People will forget or neglect to RSVP, but then show up hoping for a piece of the pie. It’s better to be over-prepared than short-handed. Let’s face it: people can be finicky with their food. Additionally, many people have food allergies. For these reasons, it’s not wise to throw all your pie eggs in one basket. Most agents offer a selection of pies such as apple, pumpkin, pecan, or berry pies. To know how many of which you may need, you can include the pie selection in your RSVP forms or cards. Surely, you don’t have the time to bake the pies yourself, and frozen store-bought pies may suffice, but may not have the “wow factor” you’re hoping to establish with your event. Again, you have options. The most cost-efficient option is to develop a cross-marketing campaign with a local bakery. The bakery will share the cost with you in exchange for advertising their pies. This prevents you from shelling out the dough for hundreds of pies single handedly. Contact bakeries in your area well in advance to see which among them is willing to work with you, and to give the bakery time to prepare. You may also invite the bakery to send a representative to your event to share their products and services with attendees. It’s best to tackle this challenge from multiple directions. The most obvious is through your website or blog. The second is to share on social media. Third, you can send out a newsletter. You may also opt to have custom invitations printed for your event. Because you’re offering a generous gift to the public with no expectations of return, you may also choose to issue a press release announcing your offerings. Also selected for you: Do You Have these 10 Essentials in Your Real Estate Website? Take pictures during your event. Use the opportunity to garner reviews or testimonials from your clients. Take notes about what worked, and what left room for improvement. 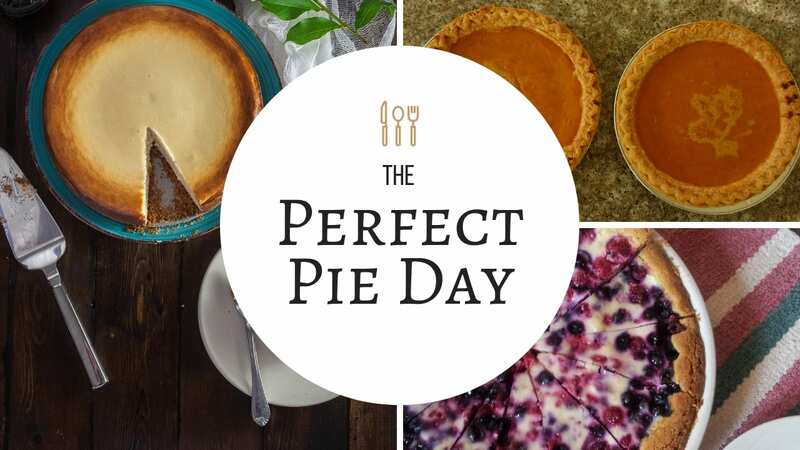 Then, during next year’s Pie Day celebrations, you’ll have images to promote, testimonials to share, and lessons learned to ensure an even more successful event. You may also choose to have printed marketing materials at the ready so attendees of your event have something to take home and share with their sphere of influence. If you planned your event well, there’s an excellent chance you’ll end up with too many pies. You can choose to share those pies with others in your office, or take the philanthropic approach and donate leftovers to a local shelter or to people in need. When you opt to donate pies, you can then issue another press release or additional marketing endeavors to promote your generosity. The weekend before Thanksgiving is your opportunity to let clients and associates know how much you appreciate them. This is also an opportunity to establish cross-marketing projects with other local businesses in your area. Not only will you share good spirit with your network, but your network may then share the love by way of referrals. This time of year is particularly important to plant seeds for future business as you head into the slower parts of the business year. Stir up that publicity, draw attention to yourself and your services, and consider donating your left over pies to a worthy cause.